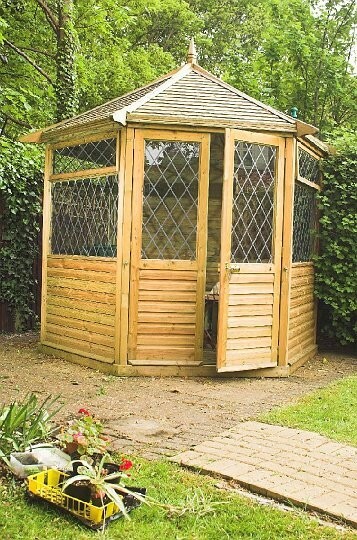 The Georgian Summerhouse is a classical hexagonal summerhouse with diamond leaded windows. This timeless design will look simply beautiful in your garden for many years. 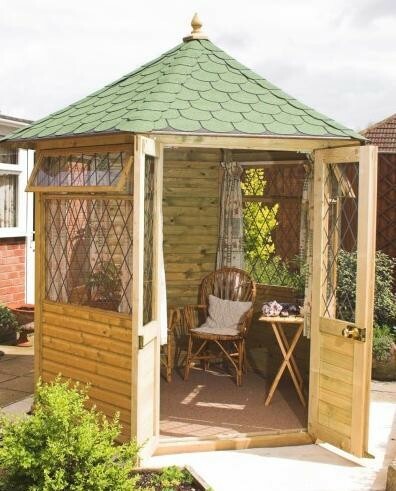 The Georgian wooden summerhouse has been made to last and is manufactured from FSC approved pressure treated Northern European Redwood. The windows and double doors are fitted with diamond leaded 4mm toughened glass. Brass door furniture is included as standard and you have the option of a green or black Asphalt tiled shingle roof. 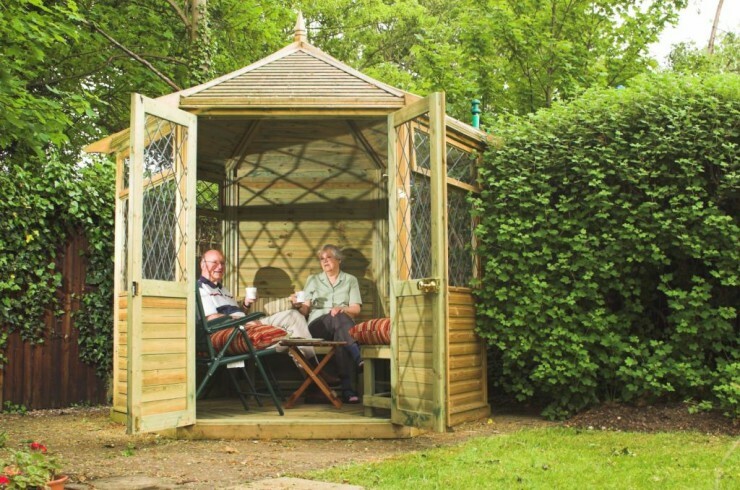 All of our garden summerhouses are delivered flat pack with self assembly instructions.